Tens of thousands of waterfront communities around the world depend upon local marinas to serve as safe, family-friendly gateways to the boating experience. In 1928, the word “marina” was used for the first time in the U. S. by the National Association of Engine and Boat Manufactures to define a recreational boating facility. Ever since then, marinas have been an integral part not only of American recreation, but also of the worldwide boating community at large. And at the same time, marinas have an increased reponsibility to maintain clean and safe facilities for the boating public. The year 2002 was an explosive year for marina fires. Seattle, Minneapolis, and Colonial Beach, VA, were scenes of some of the worst infernos, with combined losses of over 120 vessels and damage well into eight figures. 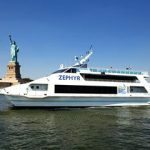 Experts say that nearly 60% of all of all onboard fires are the result electrical failures in shore power wiring and overloaded circuits. 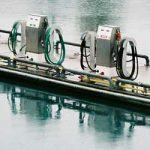 When choosing a marina, check around for fire protective measures such as stand pipes, fire extinguishers, cleanliness, clear dock passageways, security, good lighting, surveillance cameras, uniformed guards, coded entry gates, a neighborhood watch program, and other accident and theft prevention measures. If you get a bad feeling, take your boat and your business elsewhere. Wear PFD’s while on the docks and working around your boat. ESPECIALLY make sure that children are wearing properly-fitted PFD’s. Don’t swim in marina waters. 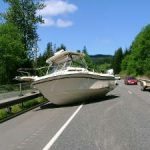 Boat maneuvering and movement is tough enough without having swimmers in the water, and there can also be dangerous stray currents in the water from improperly bonded electrical systems. Make sure you, your family members, and guests are wearing non-slip shoes anywhere on the marina premises, but especially around the docks and on your boat. Don’t leave loose items laying around on the dock or in visible areas of your boat. They could get kicked into the water, stolen, or present a tripping hazard. Be proactive about regular mainenance of your vessel, especially electrical and fuel systems. Use bio-degradable cleaning products when you wash your boat. If you leave your boat for any reason, turn off any portable heaters you may have on board. Never leave engine parts or oily rags around dock areas, and ventilate thoroughly before performing any work on your boat. You and your family are the eyes and ears of your marina neighborhood. Don’t be shy about telling marina staff about potential problems or hazards, such as weatherworn wiring or fixtures, spilled or leaking fuel, or lack of safety equipment like fire extinguishers, proper signage, and life rings. Gasoline generators on board can leak fuel, short out, overheat, and can represent a significant carbon monoxide risk if not property used and maintained. Practice a safe egress from your boat and from the dock in the event of fire. Use only UL marine approved cordsets and connectors. Don’t use extension cords at the dock. Turn off all electrical loads before connecting cords. Don’t hook up if you see burn marks or if your cordset won’t firmly connect to the power pedestal. View cordsets as a preventive maintenance item that are routinely replaced. Install an easy-to-use battery disconnect if your boat is stored in a dry rack – – don’t trust your battery selector switch. Cords connecting your boat and the power pedestal should be arranged so that there is slack to allow for boat movement, and placed so that cords can’t be crushed or chafed. If you find a cordset strained or damaged in any way, replace it immediately. 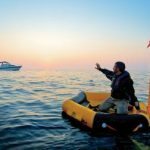 Things you bring from home to use on your boat are not always suitable for boat use. The movement of the boat, the marine environment, and the fact that some appliances are intended for unattended, extended use can make home appliances risky. 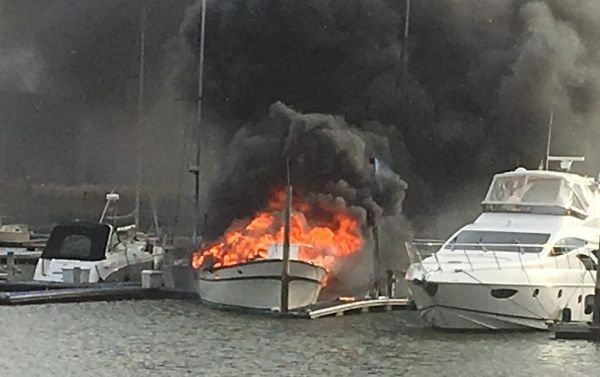 Space heaters, microwave ovens, vacuum cleaners, home battery chargers, and even lava lamps have been the cause of boat fires. If you use them, make sure they are unplugged or shore power is shut off when you’re not around. Make sure the marina is supplying you with the proper voltage, particulary if everyone on your dock is drawing a heavy load. Low voltage can cause AC appliances like refrigerators and air conditioners to overheat. Use a voltage input meter on your AC panel. It’s a good idea to have double pole breakers and a polarity meter in your AC panel. If the marina does have the polarity reversed, you’ll know it and juice will be cut off in the event of any shorts you might have in any appliances. If you have older style single pole breakers, turning off the breaker won’t stop the flow of electricity if the polarity is reversed. When connecting or disconnecting power at your boat, always make sure the power is first disconnected at the dock pedestal. Fuel portable tanks on the dock, not on or in the boat. Don’t try to clean up gasoline spills by yourself – – inform the marina staff if you cause or see a spill. Before fueling, close all compartments, hatches, and covers. After fueling, open everything up and ventilate throroughly. Use your nose to see if you can detect any fumes. Then run your blower for at least five minutes. When fueling, keep the nozzle of the pump in contact with the fill pipe. 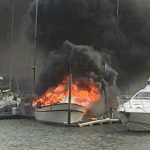 http://www.boatus.com/seaworthy/magazine/2015/october/boat-fires.asp – Boat U. S. “Seaworthy” Article on Marina Fires – Thi is a source of damage avoidance information that is valuable to boat owners, marinas and boatyards.